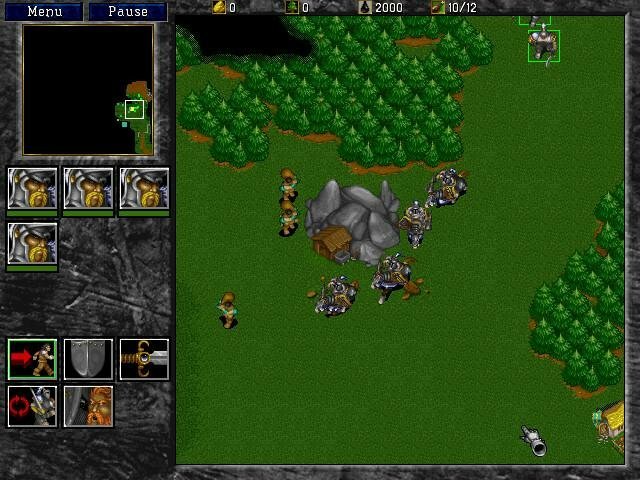 The Orcs are back and we’re under attack! WarCraft: Orcs & Humans had lots of personality, but it was still rough around the edges when it came to the interface and gameplay. 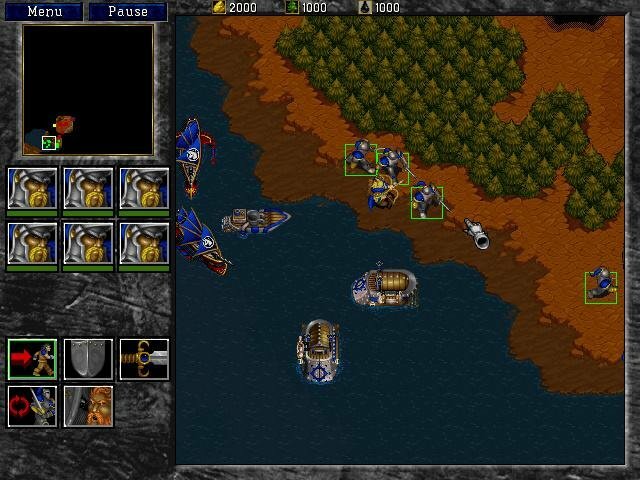 Thankfully, WarCraft 2: Tides of Darkness, surpasses the original game in almost every way. 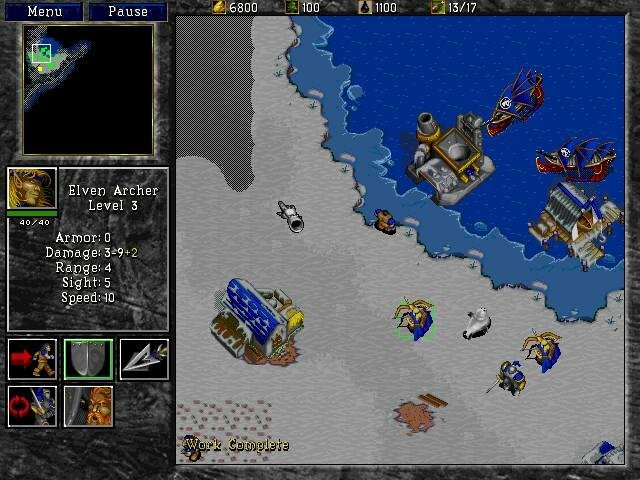 For one thing, there’s just more stuff: more units, more resources, more buildings, more pixels (it’s SVGA), more terrain types, more players at once (up to 8 on LAN) and more theaters of war. But while it’s always nice to get new stuff, the ante has also been upped on gameplay quality as well. As with almost all Blizzard titles, this is an amazingly polished product, with lovingly crafted artwork, music and an engaging (if somewhat caricaturistic) dark fantasy plot complemented by a much more clever interface to boot. 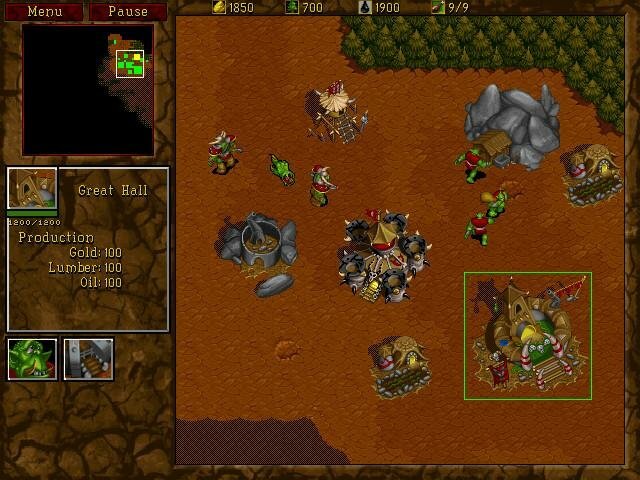 This Orc base is looking good. 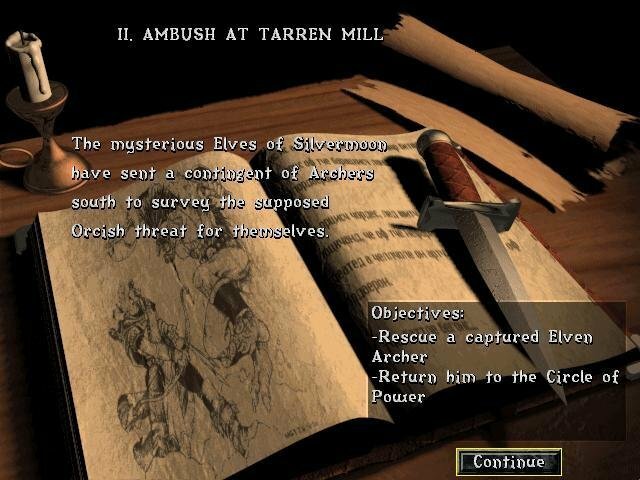 You might remember having a rough time in Orcs & Humans telling your subject what to do, although, in many cases, it should have been obvious: if you tell a peon to go to a gold mine, you want him to harvest gold. 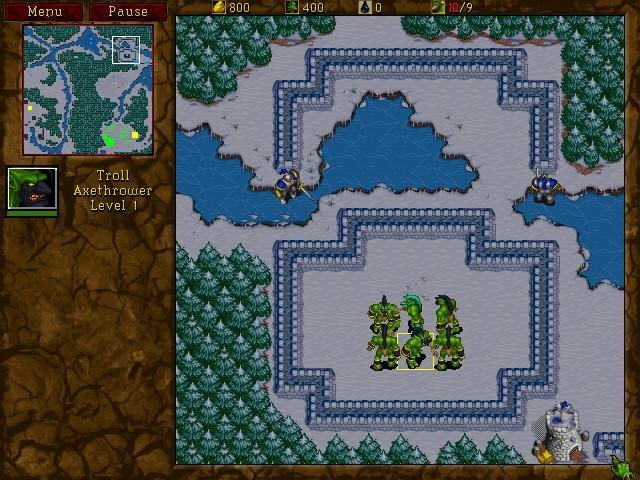 WarCraft 2 lets you right-click to quickly dispatch your units. Click on clear ground and you move there. 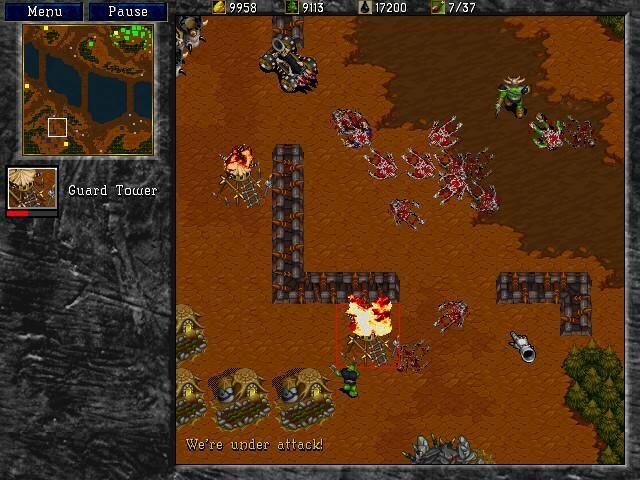 Click on an enemy unit and you will attack him. 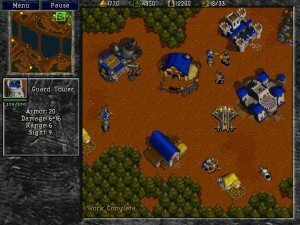 It’s this remarkably simple mouse interface that makes playing the game so wonderfully easy, and it’s the sort of intuitive controls that we’ve come to expect after 1995’s Command & Conquer, which this game is obviously attempting to surpass. 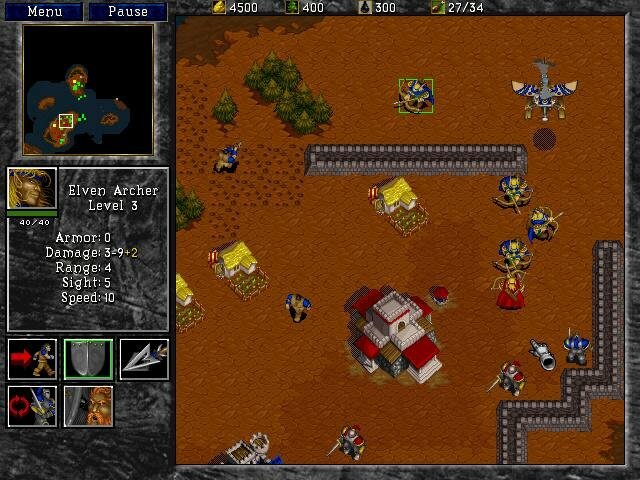 Everything else about the interface has been streamlined according to the RTS conventions at the time. 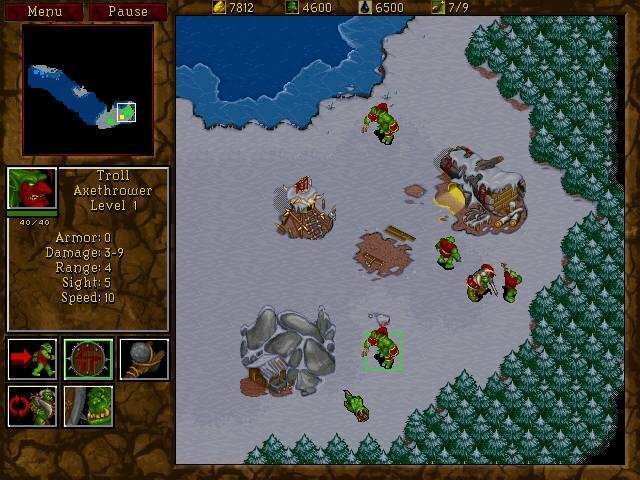 Hell, WarCraft created several new ones on top of them – just about every button on the interface has an assigned key for quick and easy access, although becoming skilled with them does entail some practice and memorization, and you can assign control groups to both stacks of units and single buildings. Resources are now fewer and easier to harvest, with ore being ousted in the final product. There are only three resources, but they are well-balanced and as easy to manage as in the original. Also, you no longer have to “ping” for oil — it appears as a clear dark patch in the open seas. 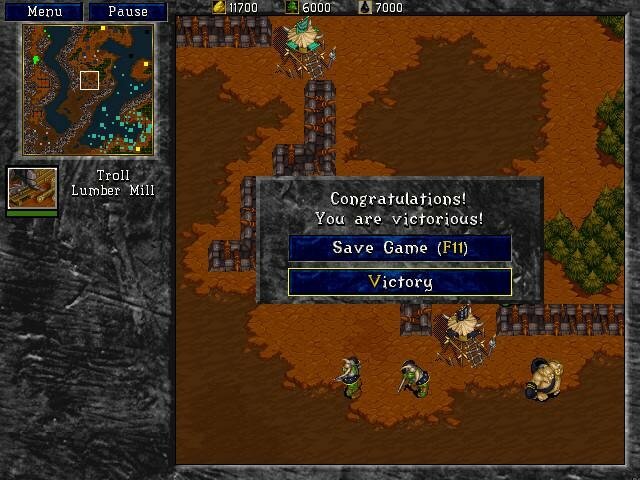 You also don’t have to muck around with resource management as much as you used to. 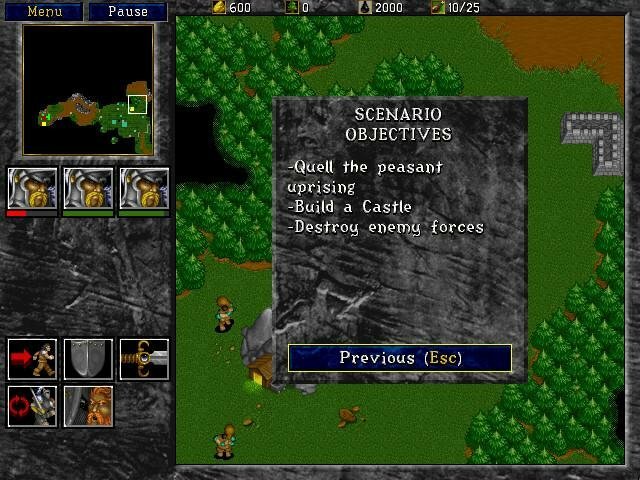 Once you have three or so peons each harvesting gold and lumber and a couple of oil tankers, you can pretty much leave them to their work and concentrate on building your base and churning out troops to do your bidding, merely providing essential protection for your gatherers as needed. Likewise, the unit AI is also competent. 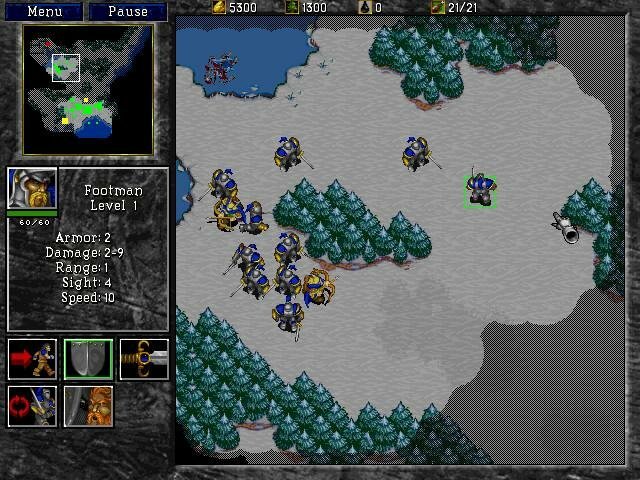 Though it’s a better idea to send your troops in short spurts around the map, you can otherwise order them to hold their ground when defending a site or have them patrol the perimeter. Building up an army for an upcoming raid. 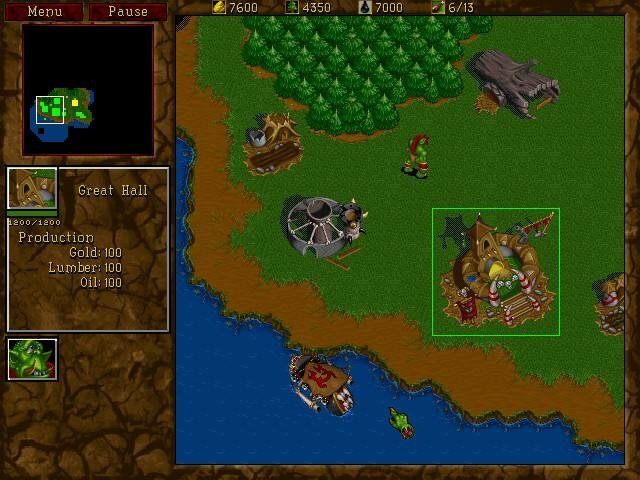 In WarCraft, the smaller overhead map showed enemy units in red, making them easy to spot. Here, they appear in their clan color, and this ocasionally raises some issues with certain tilesets. Some colors disappear into the background, making it difficult to spot enemy sneak attacks. 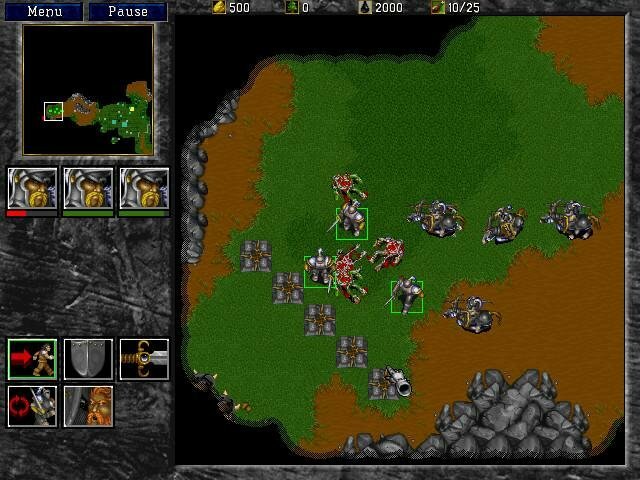 If I’m playing on the fastest speed, I’ll often lose a sentry before he can yell “We’re under attack!” Also, while the overhead visual presentation is quite spectacular, an option to increase the resolution above 640×480 would have been nice, through this would have doubtless offered a distinct tactical advantage to high-powered computer owners in multiplayer. 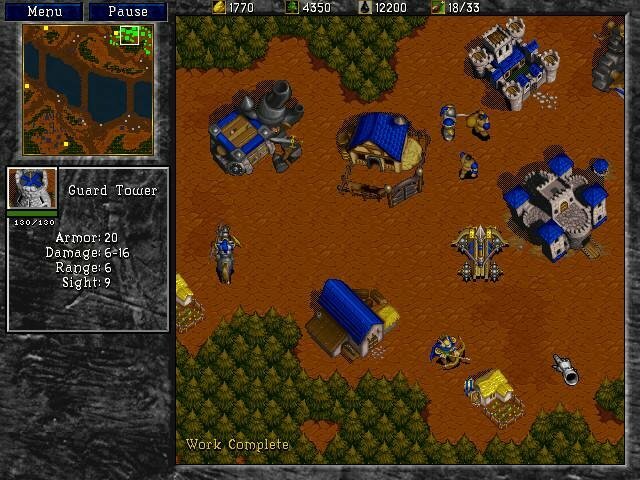 But the fact is WarCraft 2 has gone far beyond its predecessor, and in many respects beyond its immediate competition. It looks nicer, sounds awesome and gives you more units and buildings to fool around with. Best of all, the new features make the gameplay an order of magnitude better, all perfect reasons for you to try this game. 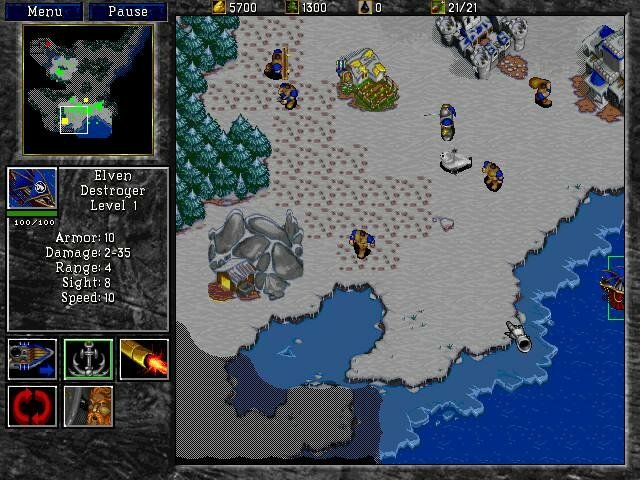 I don’t suppose you also have Beyond the Dark Portal, the expansion to Tides of Darkness. 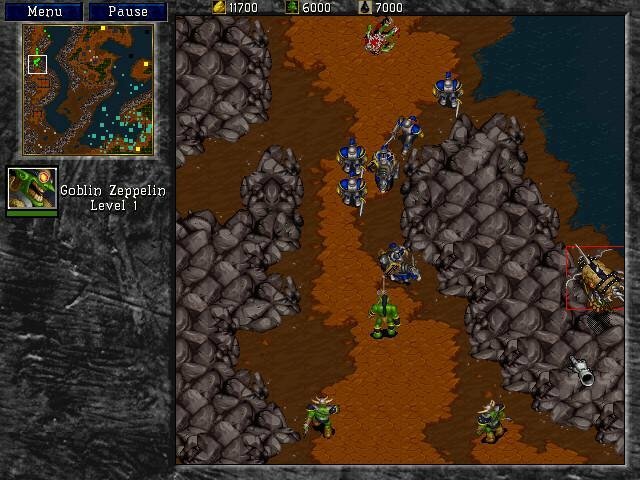 WarCraft 2 was one of my favorite games, even when better stuff like StarCraft and WarCraft 3 came up. It’d be a shame to be missing part of the experience when I revisit this old friend. 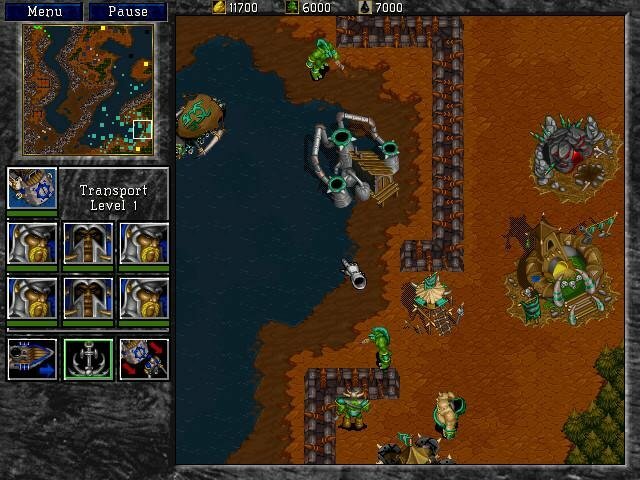 I vividly remember owning a Battlenet Edition version, it had some slight graphical upgrade but for some reason was pulled faster than its time around.